Running in Bratislava, Slovakia. 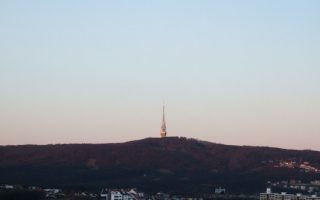 Best routes and places to run in Bratislava. The capital of Slovakia, Bratlislava is a charming city of 600,000 on the banks of the Danube river, located between Vienna and Budapest. Bratislava’s historic center is on the left bank of the river, with its maze-like streets, hilltop Castle, and impressive grounds of the capital area. There are also some nice spots across the river in Petržalka. The three bridges between the left and right banks are Apollo Bridge, SNP Bridge, and Lafranconi. 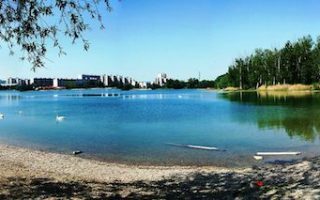 There’s wonderful running in Bratislava, owing to lovely river paths, numerous parks, lakes, and forest lands of the little Carpathians right at the city’s doorstep. 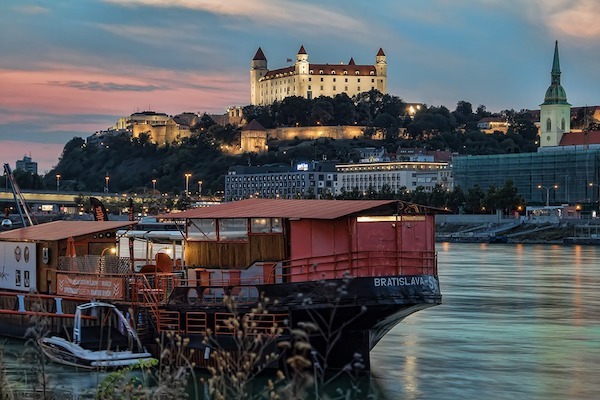 The best places to run in Bratislava center around the Danube, including 10 km of paths on the left and right banks right in the city and extensive paths heading south along the river in dammed areas. There are also several lovely lakes with running paths, including Kuchajda and Draždiak lakes. 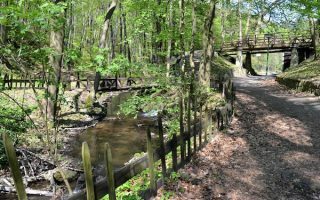 Great parks for running are Orchard Park and Horský Park. 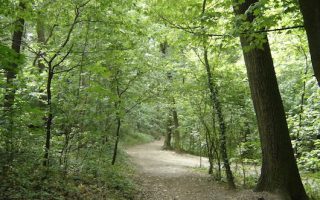 There are two extensive preserves with a variety of trails close to the city center: the ‘urban forest’ of Železná Studnička, and the popular spot of Kamzík mountain. We’ve also put together an enjoyable ‘runseeing’ tour of Bratislava. Most of our routes are accessible via Bratislava’s solid transport system, the MHD, which consists of buses, trams, and trolleybuses. An 8-10 km tour of some of the main sights of the Historic Centre. Covers a section along the left bank if the Danube, a loop around the Castle, Presidential Garden, Fountain of Union, Medical Garden, and then a DIY of the center of the old city. A classic European river run. For a 10k loop, run between the the Apollo and Lafranconi bridges. On the 'left bank', the path is more developed, skirting Bratislava's historic center. The right bank, in Petržalka, alternates between wooded and waterfront paths. The oldest public park in central Europe. 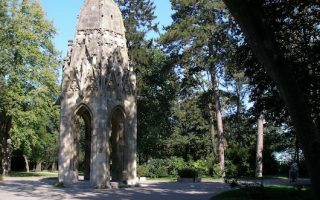 Located on the right bank of the Danube, it's ~2 km along paths and lawns lined by historic trees. For a longer run, combine with riverfront paths on either side of the river. Popular park located in the city center, with combination of wide gravel paths, more rugged trails, and lots of stairs. Hilly! One can put together a 2-3 km in the park, or combine with Presidential Gardens/historic center for a longer run. A decent off-road opportunity just north of the city center, in the Nové Mesto area. A paved path around Kuchajda Lake is a 1.5 km loop. Good add-ons include an oval track at Pasienky Stadium and another 1 km loop around Štrkovec Lake just to the south. 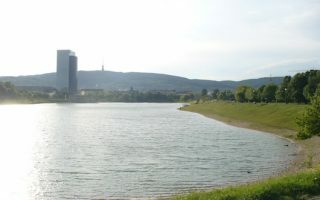 Some good waterside running in the Petržalka area, about 5 km south of the city center. The more developed path is the 2 km around 'Big Draždiak' Lake, with a 3.7 km loop possible including 'Little Draždiak' Lake. Paths along a small river nearby are a good add-on. 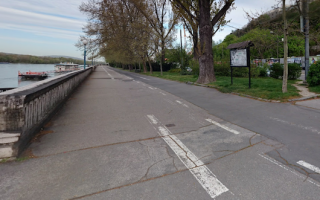 There are paths along the Danube heading south for nearly 200 km to Budapest. Popular for cycling, running, and other activities. 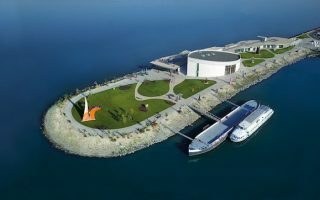 Access the Danube Dam from the Petržalka area, or for a special section, start at the Danubiana Museum. Large 'Urban Forest' park just north of the city center. Something for every runner here, from flats to hills, meadows to lakes to forests. There are paved roads, and paths/trails that range from wide to narrow and technical. For a challenge, head up Kamzík. Great views from the summit of this 439m hill directly above the city. Part of the same larger preserve as the Železná Studnička urban forest. From the summit, good variety of roads and trails for running, from flat to hilly, open or wooded. 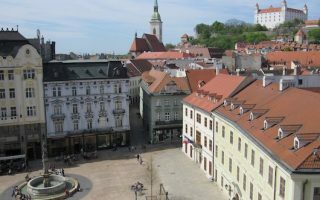 Bratislava has a moderate continental climate, with cool to cold winters and mild summers. There are distinct seasons. Average summer high temperatures are in the 80F (26-27C) range, though nights can cool off. In winter, daily highs creep above freezing (3-4C), and lows just below it (-4C). Precipitation is fairly even throughout the year, with modest rainfall. It can snow, averaging ~50 cm a year in the city, with more in the nearby mountains. There are three independent running stores in the city, all centrally located: RunShop, Running Store Bratislava, and RunningPro. Group Runs: Adidas Runners Bratislava has an active running group. This is a good list of top running events in the Bratislava area.